Sharing songs using your smartphone is challenging at best, and can quickly squash a listening experience. 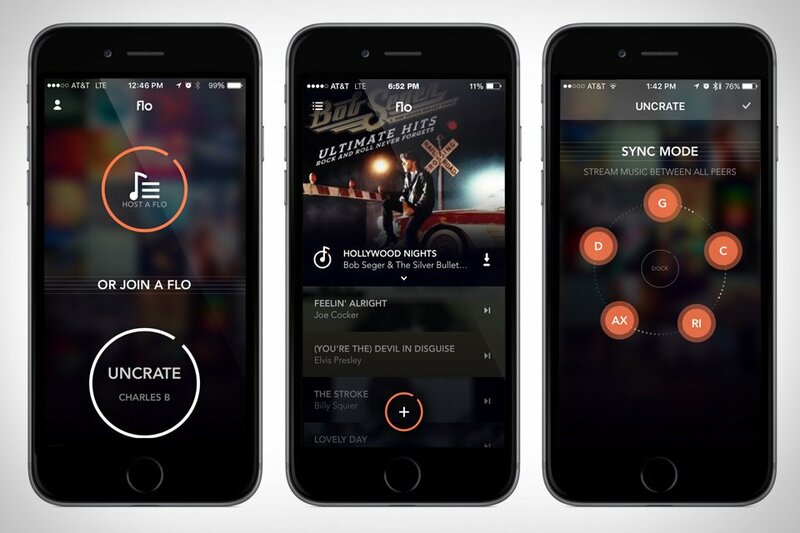 Flo Music is an app for your smart phone that allows a host to download the app, invite friends and family to join your group, and all enjoy a shared music experience. Flo uses WiFi networks to connect everyone. Turning a WiFi network into a virtual jukebox. And Flo will even work without WiFi, acting as a hotspot so the music never stops. And with Flo Sync Mode, you can put away that headphone splitter and still share the same tunes as all connected devices play the same music at the same time. Up to 10 users can share one playlist, and everyone in the group can add songs. The host who initiated the group has the power to skip songs, pause, and approve who joins. It integrates with music apps like Spotify and SoundCloud and is the easiest, most collaborative way to enjoy your favorite songs together.